With BS IV emission norms coming into existence from 1st April 2017 in India, vehicle manufacturers have to look for new technologies to reduce emissions from their diesel models. The most common method used is opting for a diesel exhaust fluid or DEF. DEF India is a non-toxic solution that is injected into the exhaust system of diesel vehicles which helps break down dangerous Nitrogen oxide emissions into water and nitrogen. To use DEF India effectively two important technologies are made use of -1) Selective Catalytic Reduction (SCR) and 2) Exhaust Gas Recirculation (EGR). Vehicle manufacturers will have to fit their engines with either one technology or both to make sure that the pollution level is brought down to the level required by the norms. Here, we have shared a few pros and cons of both the technologies so that you can take an informed decision before purchasing a vehicle. This technology works well with DEF India. In this technology, the engine has to operate under optimal combustion temperatures. However, this produces a huge amount of Nitrogen Oxide (NOx). The exhaust gases are then made to pass through a decomposition reactor in which the nitrogen oxide is made to react with DEF India. The reaction effectively produces environment safe products such as water and nitrogen. SCR technology works best in combination with EGR technology. In that, EGR helps to re-circulate some of the exhaust gases back through the engine. SCR technology may use either a copper zeolite catalyst or an iron zeolite catalyst to help the chemical reaction to take place in the reactor. Of the two, copper zeolite is more efficient and helps reduce nitrogen oxide emissions by a greater margin. Also, it offers a 2% increase in the fuel economy. 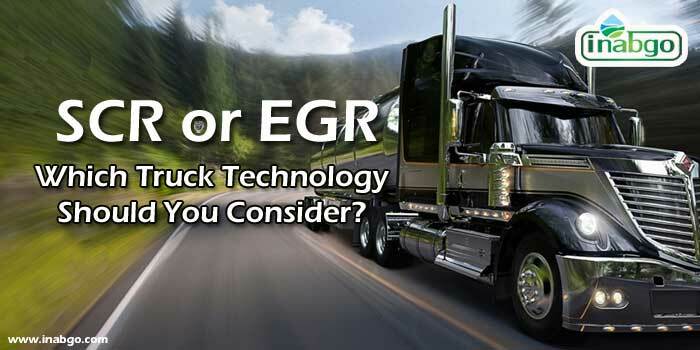 How Does EGR Technology Work? This technology is relatively older than SCR technology and uses some of the exhaust gas and adds to the intake air. Here, the fuel does not burn completely as there is a less proportion of oxygen and low cylinder temperature. This reduces the amount of nitrogen oxide and also does not cause much of soot formation. Next, a Diesel Particulate Filter (DPF) is used to filter out the soot so that the emissions are well within the permissible level. However, the filter must be regenerated on a regular basis by burning off the soot. As it can be seen from the above mentioned, EGR technology alone cannot meet the BS IV norms effectively. EGR is a simple procedure which ensures less possibility of anything going wrong. Also, if SCR technology is able to save fuel by 2%, it will still need urea which comes at a cost of 2-3% of the diesel used. On the other hand, enhanced EGR will require more diesel to be injected into the DPF for its cleaning process. While choosing the technology, it is recommended that you consult an expert and weigh the pros and cons of both the technologies. If you are worried about the price for DEF then fill the form and we will quote you competitive prices.